DANK Haus - Deutsch-Mic @ the DANK! German culture beyond the Oompah ... Join us for an evening of German-language, song, spoken word, and musical composition! All performers are welcome! 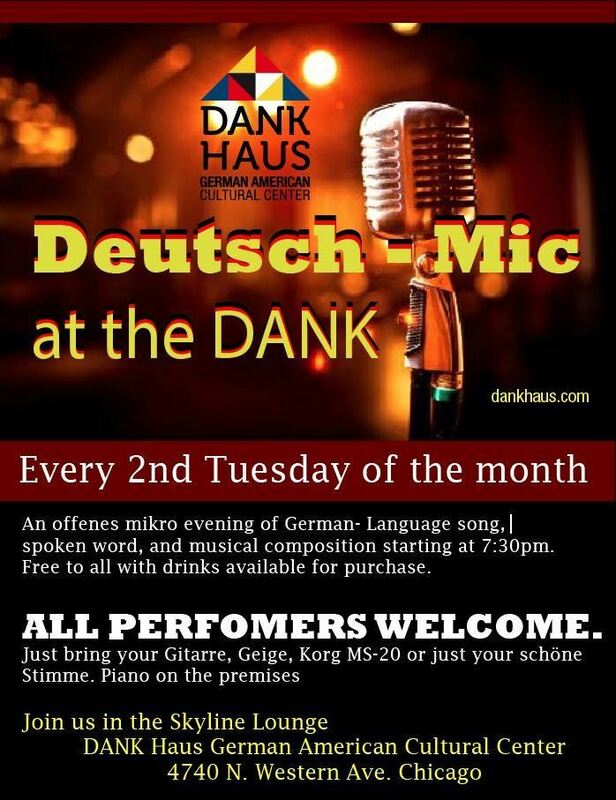 Deutsch-Mic takes place every 2nd Tuesday of the month at 7:30pm in our Skyline Lounge. Join other sung and spoken German word enthusiasts in the Deutsch-Mic closed Facebook group! Free Admission, drinks available for purchase.